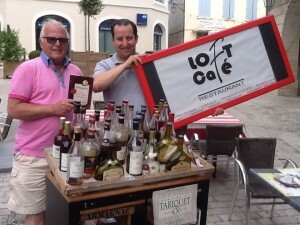 Geoff James (Author) with Jean-Philippe Labarthe and his Chariot of Armagnac from The Loft Café, Place d’Armagnac, Eauze. A great place for morning coffee, a long lunch or an evening meal. 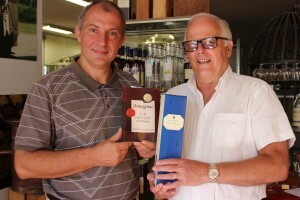 Geoff James (Author) with Monsieur Pierre Laberdolive, whose superb Armagnac is found in most 3 star Michelin restaurants around the world. 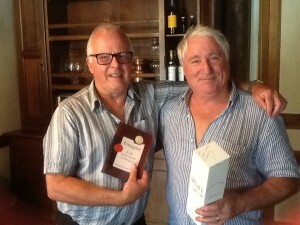 Geoff James (Author) with Thomas Guasch, of Baron de Sigognac and Chateau Bordeneuve. Negotiant and Producer of a fine range of great Armagnac. Monsieur et Madame Hebert of Chateau de Salles. 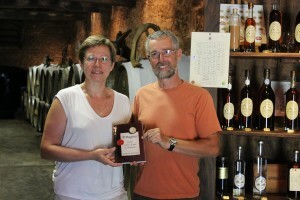 A family run business producing delightful Bas Armagnac.